If you are looking for topsoil, Boerne Landscaping Pros is the place to call. We provide quality, screened topsoil and soil to many areas around Boerne. Our standards for our soil is extremely rigorous – we don’t just sell you any soil because it “looks” good. Instead, it has to be beautiful, of course, but it has to be filled with nutrients and matter that will help your gardens and yard. Our team pays attention to quality control, screening our topsoil to ensure our clients get only the best quality. All of this is extremely important in soil – and it is hard to find that perfect balance naturally in your yard. We are extremely diligent, testing to ensure that our soil doesn’t contain chemicals or something that can hurt the living creatures in your yard. We can provide you with up to date information on your soil, helping you to better understand what you can plant in it. Whether you want to have a little vegetable garden of your own (or a big vegetable garden of your own) or you want the most beautiful flowers on the block. Our soil can also be used on commercial landscaping projects as well, giving you the best chance to have landscaping that lasts. Finding the right kind of soil is all about the percentage of elements in the soil, and it is a bit like a chemistry experiment. Sand, silt, and clay make up the physical properties of soil, but if there is too much of one type of product, you will have problems growing plants or keeping them alive. Sand needs to be there to help with proper drainage and porosity, but too much sand makes the ground too dry. Silt and clay help to keep the water in the ground, which is a necessary part of rooting and keeping your plants watered during the drier months. 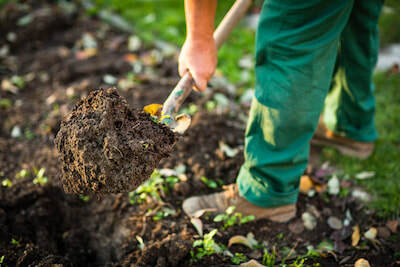 If you are looking for soil to fill in holes in your yard, new topsoil for a garden project, or something to help with landscape design, our landscape design company can help you with top soil delivery and installation. We will work carefully to keep your yard clean as we drop off our product. 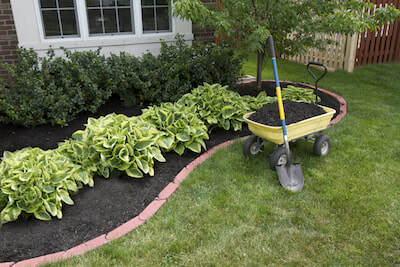 We can even help to increase the nutrients of our top soil by adding fertilizer and other custom mixes. Organic matter will help the topsoil stay healthy, even if it starts to mix in with your original soil. 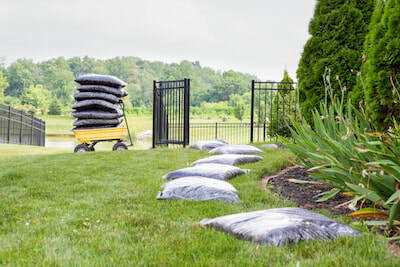 There are different top soils on the market that can be used for different things, like planting gardens, commercial areas, budget top soil, composted top soil, and more. Nutrients are the key to life in your yard. When you have nutritious soil, the rest of your yard is nutritious as well. With a climate like we have in Boerne, it is important that our soil works extremely hard so that we don’t have to do it. If you are planting a new lawn or contouring your landscape, top soil can help you to ensure that everything sticks and grows properly. Why take chances that all of the work you are doing in your lawn will go to waste because you have poor quality soil? It has happened before, especially in yards that have soil with a lot of clay in it. Plants general concentrate roots near the uppermost layer of soil, so by adding another layer on top of it, you will be able to keep water and nutrients in and keep all of the bad stuff out. 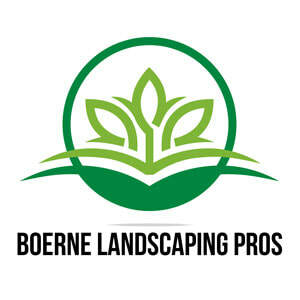 If you are interested in getting top soil delivered to your home, having top soil installed, or just talking to a professional about how your lawn and yard can be changed by new soil, contact Boerne Landscaping Pros. today. As always, we ensure that your yard will look like new when we leave—and any mess that we make, we will clean up.